Safer streets won the day at yesterday’s meeting of the LA City Council’s Transportation Committee. According to Curbed LA, a motion passed to allocate 60% of the city’s Measure M local return funds to Vision Zero projects, as opposed to a city plan to allocate two-thirds to fixing the city’s crumbling streets. The motion sponsored by CD11 Councilmember Mike Bonin passed by a slim 3 – 2 margin, with CD5’s Paul Koretz and CD4’s David Ryu voting to fix potholes while keeping the city’s streets dangerous. However, comments from Koretz blamed jaywalking pedestrians and poor pavement quality in bike lanes, not high speeds, poor street design or dangerous drivers, for the city’s unacceptably high rate of fatalities. Never mind that he’s the one responsible for blocking planned bike lanes on Westwood Blvd and on other streets in his mostly Westside district. And Ryu is the one standing in the way of a desperately needed road diet on 6th Street that’s overwhelmingly supported by the neighborhood councils in the area. But sure, let’s go with potholes over human lives. Sometimes, I don’t even know what to say. 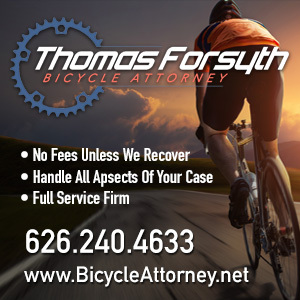 An Agoura Hills man was sentenced to the maximum term of nearly six years behind bars for committing lewd acts with a 14-year old boy, 29 years after he was convicted on felony counts of hit-and-run and conspiracy for killing a bike rider in Laguna Hills. Gary Haw, who owned a string of tanning salons in the early 2000s, is also suspected, but wasn’t charged, with molesting other boys who worked for his company. He was driving his father’s $80,000 Porsche when he slammed into his 17-year old victim in 1988. Despite throwing the boy’s body the length of a football field, he was somehow acquitted of vehicular manslaughter in the case, and received just two years in prison. His father was convicted of obstruction and lying to a police officer for attempting to cover for Haw by claiming he was the one driving, even though he was at his Culver City home at the time of the crash. Haw was also convicted of molesting a child in Santa Monica that same year. Yet his attorney in the current case argued that Haw was a “pillar of the community” who was unlikely to re-offend. Which seems highly unlikely, given his track record. And which makes the five year, eight month sentence seem a few decades too short. Once again, a bicycle company badly misses the mark by assuming their market is made up solely of immature straight males. As Bicycling points out, the sexist and homophobic ad Wolf Tooth Components and another company shared on social media over the weekend was quickly pulled when wiser heads prevailed following an intense backlash. The question is why anyone would approve it in the first place. 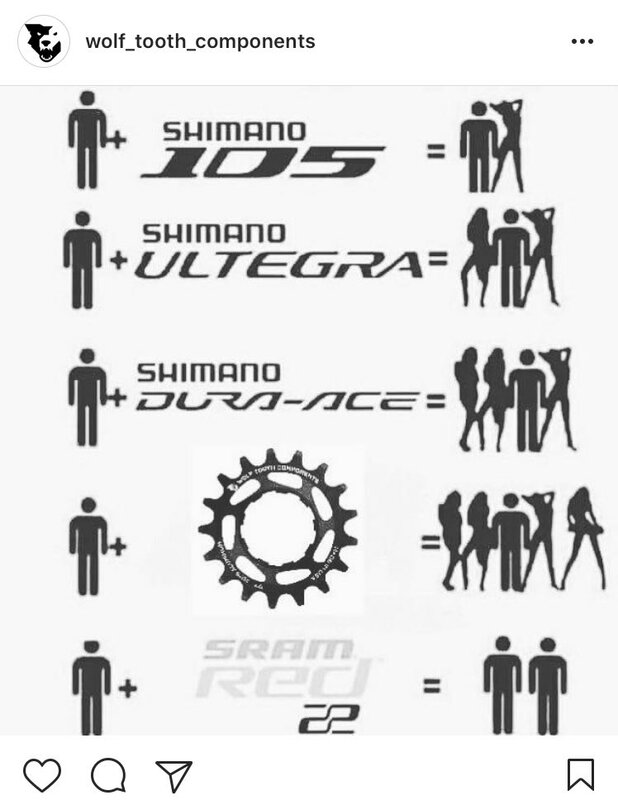 And why does the bike industry just not get it? Patrick Lynch forwards video of an airport bike cop photobombing a Today Show news report on TSA pat-downs. A professional mountain biker describes his addiction to Tramadol, the painkiller used — legally — by many cyclists in the pro peloton. Women’s races have been added to two of the four stages of the new Colorado Classic bike race, with an unrelated women’s crit the third day. A German website profiles American cyclist Leah Thorvilson, who went from marathon runner to winning a pro cycling contract at age 38 by coming in first in a Zwift virtual cycling competition. 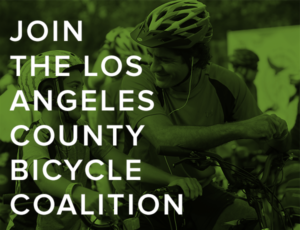 CiclaValley calls tonight’s People For Bikes Draft Meetup at Pure Cycles a must. LA-based Smart Bikes is accepting pre-order sales for their new Hexagon light, combining a rear-view camera with a taillight, brake light and turn signals, and allowing you to use your smartphone to see what’s coming behind you. But probably not the “ultimate safety device,” as the company describes it. 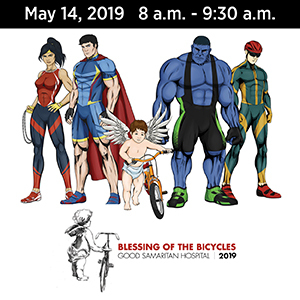 The LACBC’s annual River Ride will once again feature a Long Beach start, as well as the traditional starting line in Griffith Park; the Long Beach start was discontinued last year due to construction work. There seems to be a common theme to our first three stories. I just can’t seem to put my finger on it. Health rankings of California counties indicate where you live has an impact on how healthy you are and how long you’ll live, with Orange County near the top of the list, and Los Angeles, Riverside and San Bernardino Counties not so much. Safe, walkable and bikeable neighborhoods with access to fresh fruits and vegetables made a positive difference. Calbike says a good state transportation bill was poisoned at the last minute by an ill-advised compromise allowing the trucking industry to keep polluting neighborhoods near ports and trucking routes. A white paper from the California Air Resources Board says physical activity is good for you, just try not to breath the air. Long delayed plans for a bikeway on San Diego’s Coronado bridge could cost as much as $210 million for a 15-foot tube suspended beneath the bridge, and could require a toll to fund it — either on the bicyclists and pedestrians using it, or the drivers on the bridge above them. A Santa Cruz letter writer says “smug weekend cyclists” should be banned from a large number of mountain roads. Does that mean modest weekday riders are okay? A Sacramento magazine says it’s time for the city to stop spinning its wheels and build its first protected bike lane, noting that Sacramento and Las Vegas are the only two of America’s 40 largest cities without at least imminent plans for one. A Folsom newspaper says cyclists and motorists need to work together for safety, and drivers shouldn’t squeeze cyclists off the road. A new study questions why girls lose interest in bicycling when they reach their teens; not surprisingly, traffic is a major factor. A writer for Forbes calls the new $5,000, 33 mph Stromer ebike a people magnet and a thing of sheer beauty. Although here in California, any motorized bicycle that goes that fast requires a helmet and a motorcycle license. It was a big night out for a Denton TX man, who was arrested after allegedly crashing his car into three separate vehicles before hitting a woman on a bicycle, then running away and attacking a woman getting out of her car, insisting he needed it to get something to drink. Chicago bike riders are cheering plans for extending a bike trail and building a riverwalk bike path on both sides of the river through a gentrifying industrial corridor. A Cleveland letter writer says don’t be a jerk by riding in the middle of the lane and slowing down traffic just to prove you have a right to the road. Never mind that riders are taught to take the lane to avoid the door zone, increase visibility and make drivers go around them to pass. Next City examines how Massachusetts is updating its statewide bike plan to shift focus from recreational riding to riding for transportation. The international bicycle industry is finally getting onboard with bike advocacy. Peru’s Agricultural Minister was fired for sunbathing and riding her bicycle while half the country was being devastated by the worst flooding in two decades. Plans are underway to install segregated bike lanes on London’s Westminster bridge, site of last week’s terrorist attack. However, work has been postponed for the foreseeable future, as one British lord inexplicably blames the current painted lanes for contributing to the carnage. A British rider is close to finishing his goal of riding 107 kilometers (66 miles) every day for 107 days, despite working full time, and overcoming food poisoning and a major storm. The head of Ireland’s Green Party calls for improving safety for cyclists on the country’s roads, comparing riding in Dublin to a Ben-Hur chariot race. CNN takes a 12-day, 602-mile ride around Taiwan on a route that is rapidly becoming one of Asia’s greatest adventures. Singapore is trying to encourage bicycling by installing bike racks and bike parking zones throughout the island. Caught on video: Going full Superman downhill on a fixie doesn’t look as hard as getting back on the spinning pedals. 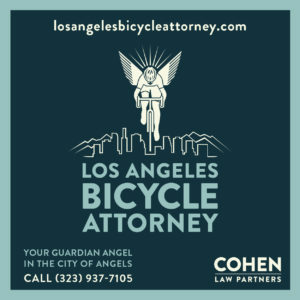 Evidently, bike racers get fined for riding where bike riders are supposed to. And nothing like riding your fat bike past a long line of cars stalled in an Alaskan blizzard.